I feel like you should do a contest: write a story about these characters. These are fantastic. Really solid designs. Hey, by any chance do you know who the artist is here? 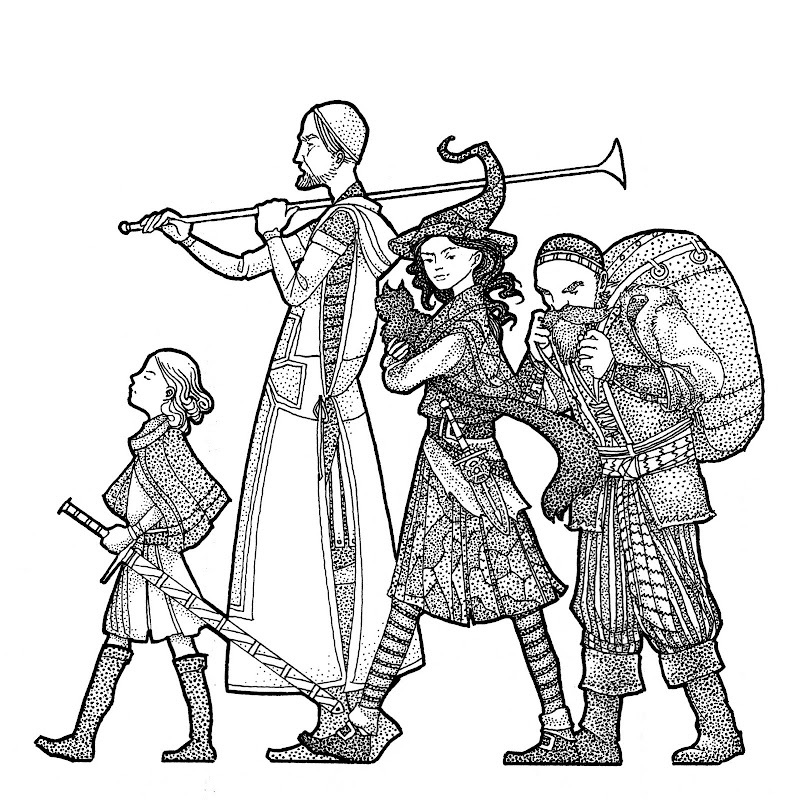 I really like how these characters look like iconic adventurers (cleric, point hat wizard, etc) but don't look stereotypical at all.